As Christmas has passed and we look at the calendar, we see that the 31st of December is coming closer. Besides wondering how the time has gone so fast (which I think we all do), we see that the new year, 2019, is coming, as well. Meaning that it is time for: New Years resolutions! I’ve said before in a blogpost explaining why waking up early changed my life (as a student) that resolutions aren’t really my thing. Why? Because they are bound to break. Now this is quite big talk for me, considering I’ve always done it the same way. 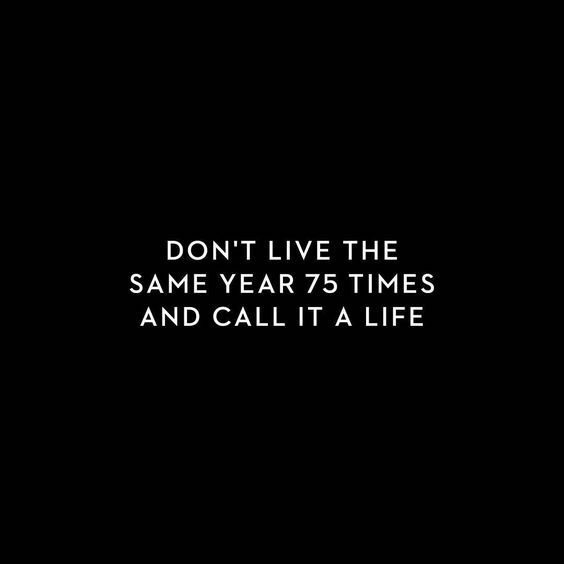 But I started thinking, what if I do it differently this year? Perhaps your resolution for 2019 is to lose 20 pounds. It seems ideal and you are sure you can do it. But think again. Losing 20 pounds is 1. unhealthy and 2. almost impossible. I don’t mean to discourage you, but this resolution is not a good idea, because it is not realistic. Instead of losing weight, focus on eating healthier (let’s say eat 2 pieces of fruit per day), moving more (take the bike instead of the car) and practicing yoga, for example. Resolutions are not about the biggest changes, they are about the most realistic and important ones. Look at your list and cross all the things that are not realistic and replace them with ones that are and you will be so much more motivated! Instead of having one goal, split little goals in time bars. If we take our past example, eating healthier, you can say, instead of eating healthier at once: the first two months; you will eat two pieces of fruit every day. The next two months (so four months into 2019), you will eat 2 pieces of fruit and drink 5 bottles of water. 6 months into 2019, your goal will be to have fixed times when it comes to breakfast, lunch and dinner, plus the 2 goals you’ve already accomplished. This way you will see more improvement and difference is easier to make. Split your resolution in time bars, set a reminder and watch 2019 become amazing! This can be explained in not so many words. Having too many resolutions will lead to demotivation, because you will see a list of goals which are all impossible to work on, every single day. You will have to make a really good time schedule to fit in all your resolutions in a week and this is guaranteed to fail. It is proven that when you write a goal down, you are more likely to accomplish. Grab a piece of paper or print out this beautiful Resolutions Planner (stick to the end and get another Resolutions Planner!) and write down your New Year resolutions. But do pay attention: don’t be vague. When you want to practice more self-care, don’t write down practice more self-care. Instead, you can say: meditate every day or wash your face every morning. This way, you have a better view on your resolutions and are more bound to succeed. Hang your resolutions around your house and on your walls, so when you wake up or walk around the house, you are constantly reminded of your goals & accomplishments. Besides your normal morning routine (read what to include in your morning here, too! ), add one resolution in it. So for example, before you brush your teeth, you eat a piece of fruit. This way, you’ve already grown and worked on your resolution. I hope you’ve become inspired by these tips, because I truly have, too. I wasn’t really in the ‘New Year’ – mood, but writing this article has definitely motivated me and inspired me to write down some resolutions and this time, I will accomplish! You too? Let me know what your resolutions are and we’ll talk again in a year, if you’ve succeeded! I believe in you:). P.S. do you already follow my Pinterest and Instagram?